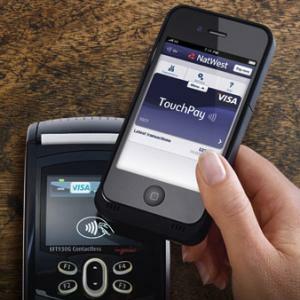 NatWest, one of the UK’s largest banks, has announced that it will trial NFC payments using its TouchPay mobile app and Wireless Dynamics’ iCarte accessory for the iPhone. Some 1,000 NatWest customers will be provided with a free NFC-enabled iCarte case for their iPhone 4 or 4S smart phone. After attaching the iCarte case, the user will be prompted to download the NatWest TouchPay app, which can be used to make NFC payments of £20 or less at any retailer that accepts contactless transactions, including Subway, McDonald’s, EAT and more. According to NatWest, TouchPay payments are drawn directly from the user’s current account in the same way as a debit card, and all TouchPay transactions can be viewed instantly on the app. The trial is scheduled to last for four months, after which NatWest may expand TouchPay to BlackBerry and Android phones. Interested parties can register for the pilot here.